Announcer: Welcome to this medical industry feature titled: How to Better Communicate with Patients with Dyslipidemia Experiencing Myalgia provided in partnership with Kowa Pharmaceuticals America, Inc. This program is intended for physicians. Here is your host, Dr. Jennifer Caudle. This is ReachMD, and I’m your host, Dr. Jennifer Caudle, and joining me to talk about the management of high cholesterol, the challenges to statin adherence for patients experiencing myalgia, and the treatment option that may help address this issue are Dr. Shawn Dhillon and patient, Debbie. Dr. Dhillon is the Medical Director at Calvert Medical Group in Baltimore where he has been treating patients with dyslipidemia for over 15 years. Debbie is a patient with high cholesterol who experienced statin side effects and is sharing her story. So, Dr. Dhillon and Debbie, welcome to the program. Dr. Caudle: Well, I’m really happy that you’re here today. So, we’re going to start with you, Debbie. You were diagnosed with high cholesterol nearly two decades ago, and I understand that you tried quite a few statin medications to manage your cholesterol, most of which came with debilitating side effects. So, can you tell us a little bit about your statin journey? Debbie: Well, I was at a doctor’s office having an annual evaluation, and at that time they drew my labs, and my labs came back, or my cholesterol tests came back pretty high. My cholesterol was over 400, and my triglycerides was about 1500s. That was an emergency level, and so my doctor and the nurse began to put me on some medications, a statin. Also, they talked to me about my diet. They talked to me about exercise at that time, but one thing that I did not know after I started taking the statin was the side effects, so I didn’t know the potential side effects of it, and I started having muscle cramps, really bad muscle cramps, waking me up at night, and I just, I didn’t know what it was. I don’t think my doctors knew, either, and so they actually took me through a battery of tests. Those tests all came back negative, so it took some years, and at that time I was still having a lot of pain. One of the doctors, after several years trying to figure out what is going on, and we started testing or doing different types of statin drugs, and they were taking me off for two or three months and then put me back on it to see which one would work, and I was continuously experiencing the same thing finally the doctor recommended a statin called Livalo, which was the statin that worked best for me. Three years later, my cholesterol levels are much lower, and my leg pain has subsided, really almost gone. Actually, I’m not having any. I’m not having any pain at all. Dr. Caudle: Wow, and how did that change your life? I mean, I’m sure your life was completely different. Debbie: I had a sort of a negative experience of feeling like my life was over. I don’t know if anybody felt it, but I did, but now I know I can do all the things I wanted to do. I can still do some of the things I thought that I wouldn’t be able to do, like going exercising, long walks, playing with my grandchildren. I don’t have the pain. I haven’t had it for over three years, so it’s been a good change for me. I’m not sure if everybody else would have the same experience, but I know for me, Livalo is working. Dr. Caudle: That’s amazing, and it really sounds like, I mean, you’ve had such a journey, and it sounds like for years, as you mentioned, you were undergoing testing and still having major pains that impacted your life, and with the change in medication, your life has been different. Dr. Caudle: I mean, it’s wonderful to hear, but also quite significant what you’ve been through, you know. Dr. Caudle: Yeah, and so, Dr. Dhillon, let’s talk about the clinical perspective just a little bit. When we talk about caring for patients who have experienced statin side effects similar to Debbie’s, you know, if you sense, for example, as a physician, that your patients are not being forthcoming about side effects, how do you encourage the conversation so that maybe they don’t have the experience that Debbie did or they have a different experience? Dr. Dhillon: Well, as we know, for patients with dyslipidemia, statins are a very commonly prescribed medication, and the key thing to note with statins, as with any medication we prescribe, is really safety, efficacy, and tolerability, and keeping that in mind, it’s important for us as clinicians to have the conversation from the beginning with the patient. The patient needs to be told that they may experience side effects, of which myalgia is the most common, and the patient needs to know to let us be aware as soon as they may experience a side effect. So, having that discussion early on as they’re prescribed the medication is most important, and we have to remind the patient to let us know not only at their next follow-up but to give us a call in the office if they may experience some sort of side effects. Dr. Caudle: Yeah, I think those are really great points. As a family physician myself, I think, you know, we don’t always remember or think about the education piece, which is, you know, opening that dialogue with patients and telling us, inviting them to tell us if you’re having side effects, and I love what you said, also, about having patients call us, you know, if you can’t wait until the next office visit to give a call because it is very important. Dr. Dhillon: Yeah, communication is the key, and I think it’s imperative for us as a provider to initiate that with the patient as well. Dr. Caudle: Right, right, and to sort of set that standard and sort of set that up, that relationship, I agree. Now, let’s say a patient walks into the office and says that he or she is having challenges with their current statin kind of like what we just talked about. Maybe that patient calls you up or comes back into the office, and that’s what they say. 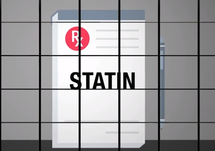 What criteria do you look at in order to determine the statin that might be right for them? Dr. Dhillon: Well, we as health care providers know our patients the best, and we look at the level of activity somebody may partake in, what their lifestyle is like. You know, are they very vigorous with activity in the gym? Are they drinking a lot of water? What are other comorbidities? So, many factors play a role with regards to the proper statin that we may be picking for the patient. Dr. Caudle: Great, and I know there’s a lot of robust data for Livalo. Can you explain some of the key clinical information that health care providers really should be aware of? Dr. Dhillon: So, there’s four key areas for Livalo: metabolism, efficacy data pulled from three pivotal trials, adverse reactions, and discontinuation rates. Dr. Caudle: Right, right, very good. For those of you who are just joining us, this is ReachMD, and I’m your host, Dr. Jennifer Caudle. Today, I’m speaking with Dr. Shawn Dhillon and patient, Debbie, on the topic of high cholesterol, the challenges to statin adherence for patients experiencing myalgia, and a treatment option that may help address this issue. So, you know, let’s switch back to you, Debbie, you know, and thank you again for sharing your story. I mean, it’s a very personal story, and I know, it sounds like it was a very difficult time for you. I mean, it’s almost like I can see it as you talk about it and you saying things like you can now play with your grandchildren, you can go for walks and runs now, that really sort of gives the rest of us an idea of really kind of maybe what you were going through, so I appreciate you sharing that. You know, we know that you’re feeling a lot better today, which is wonderful, but we know that your statin journey was a long one with lots of challenges. You know, is there anything that you wish you would have known from the beginning of this experience? Debbie: You know, I wish I would’ve known that the statins have the potential to cause such debilitating side effects. If I had known that it was all the other statin medications that I tried before Livalo, I would’ve spoken to my doctor a lot earlier. You know, as a nurse, I’ve talked to patients that are having the same or similar experiences, and especially with their statins. I don’t think they knew it was their statins, and they would tell me about their experience with their muscle cramps, and so I would tell them about my story and the pain I had in my legs, and I kind of gave a little reference to them, and then I would tell them to go back to their doctor and talk to them about maybe switching their statins. If I was in their position, I just didn’t know, and as a result, I went through a lot of tests. 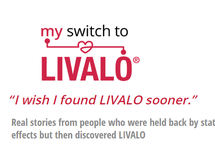 I wish I found Livalo a lot sooner, I really do, because I wouldn’t have to go through all the pain and testing and the doctor visits. I might have been able to just move on. Dr. Caudle: It helped for you, right, and I think that you make two really big points, you know, you wish you’d known the side effects, and you also, it sounds like you wish you’d known the range of options that were out there for you, and so that’s very well taken. You know, Dr. Dhillon, when your patients have issues with their first statin like Debbie did, what steps do you then take to ensure an open and efficient dialogue to really get that right cholesterol management plan? Dr. Dhillon: So, unfortunately, Debbie’s experience is not uncommon. Among patients prescribed a statin, studies indicate that more than half of them stop taking that statin within the first year, most often due to side effects. 10 The piece here that is particularly concerning is that many patients stop taking these important medications without first talking to their health care professional. Patients need to understand that side effects may occur, but if they do, it’s important to speak to their health care professional about switching statins since there are many statins out there, and what works best for one patient may not work for another. Dr. Caudle: Right, very well said, you know, very well said about this importance between doctor-patient communication. You know, turning back to you, Debbie, we know that you spent many years suffering from painful statin side effects before finding the right statin for you in Livalo. Can you tell us a little bit about your health now since taking Livalo and what challenges or changes, excuse me, what changes have you noticed? Debbie: Well, my cholesterol’s good. Dr. Caudle: That’s a good thing. Debbie: That’s a good thing. It’s not 400 anymore. It hasn’t been that, so I’m happy to know that, and also, I have a dual lifestyle now. I can take the medication, and also, I can do the things I always wanted to do. It’s not that I wasn’t doing them. It’s just like I had to think first. So, now that I don’t have to think about it and that I can work, I can play, I can vacation, it’s nice to know. It really is nice to know that there is a drug out like Livalo that I don’t have to worry about my health as well as worry about having a good time in my life and continuing my lifestyle that I’m used to. Dr. Caudle: I really like that phrase, a dual lifestyle. It’s almost like you don’t have to choose between good cholesterol and feeling good, right? Debbie: Right. I know I have to have the medication, and so knowing that there’s a medication out there for me like Livalo and I don’t have to have the pain is a double joy for me, and it’s really nice to have it. Dr. Caudle: Yeah, that’s wonderful, that’s wonderful. So, Dr. Dhillon, my last question to you on behalf of health care professionals, including myself and so many others who are interested in learning more about Livalo and finding ways to better communicate with our patients, you know, what should we know? Dr. Dhillon: So, the most important thing to understand is that we’re required often to prescribe a generic statin from the beginning, and it’s important to note and appreciate that Livalo can be that second-line go-to statin once a generic hasn’t done well. 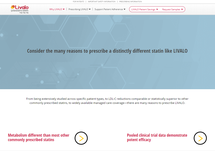 We have to keep in mind the safety, efficacy, and tolerability, and Livalo can be considered a second-line go-to statin, increasing adherence for patients from the beginning. 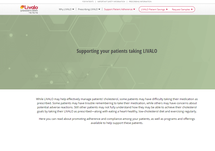 And finally, you can look up Livalo coverage in your area and learn more about the moderate-intensity statin at livalohcp.com. Dr. Caudle: Well, with that, I’d like to thank our patient, Debbie, and Dr. Dhillon for joining us today to discuss the importance of statin adherence for patients experiencing myalgia. It was really great having you both on the program. Debbie: Oh, thank you, too. Announcer: And now, here is some important safety information for Livalo. Livalo is not right for everyone. Do not take Livalo if: you have a known allergy to Livalo or any of its ingredients; you have active liver problems, including some abnormal liver test results; you are nursing, pregnant or may become pregnant, as it may harm the baby; you are currently taking cyclosporine or gemfibrozil. The most common side effects of Livalo in clinical studies were: Back pain, Constipation, Diarrhea, Muscle Pain, and Pain in the legs or arms. This is not a complete list of side effects. Talk to your healthcare provider for more information. The preceding program was provided in partnership with Kowa Pharmaceuticals America, Inc.
 Lipitor (atorvastatin) [prescribing information]. New York, NY: Pfizer, Inc.; June 2017. Zocor (simvastatin) [prescribing information]. Whitehouse Station, NJ: Merck & Co.; March 2015. Statin Market TRx by Year. Symphony Health Solutions data as of the end of October 2015. Budinski D, et al. Pitavastatin compared with atorvastatin in primary hypercholesterolemia or combined dyslipidemia. Clin Clipidol. 2009;4(3):291-302. Stender S, et al. Pitavastatin shows greater lipid-lowering efficacy over 12 weeks than pravastatin in elderly patients with primary hypercholesterolaemia or combined (mixed) dyslipidaemia. Eur J Prev Cardiol. 2013;20(1):40-53. Cohen JD, Brinton EA, Ito MK, Jacobson TA. Understanding statin use in America and gaps in patient education (USAGE): an internet-based survey of 10,138 current and former statin users. J. Clin Lipidol. 2012;6(3):208-215. Encouraging patients with dyslipidemia to discuss adverse reactions they experience on their statin can help overcome issues leading to noncompliance. For patients with dyslipidemia experiencing myalgia, sticking to their cholesterol management plan can be a challenge. 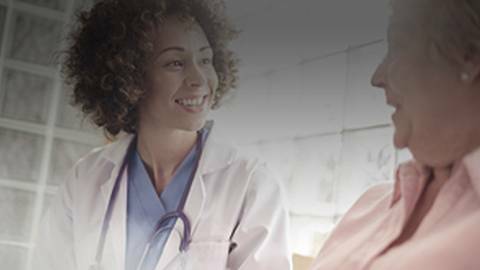 As healthcare professionals, it’s critical to help address challenges by encouraging patients to discuss any adverse reactions they experience with their statin. By having this frank discussion, HCPs can employ an individualized approach to statin selection that may help address and overcome issues that lead to patient noncompliance with statin therapy, and in turn, help achieve efficacy goals. Join this discussion as Dr. Jennifer Caudle welcomes Dr. Shawn Dhillon, Medical Director at Calvert Medical Group in Baltimore, and Debbie, a patient with dyslipidemia who experienced statin side effects, to discuss the importance of communication with patients with dyslipidemia experiencing myalgia. CLIVALO is contraindicated in patients with a known hypersensitivity to product components, in patients with active liver disease (which may include unexplained persistent elevations in hepatic transaminase levels), in women who are pregnant or may become pregnant, in nursing mothers, or in co-administration with cyclosporine. Skeletal Muscle Effects Cases of myopathy and rhabdomyolysis with acute renal failure secondary to myoglobinuria have been reported with HMG-CoA reductase inhibitors, including LIVALO. These risks can occur at any dose level but increase in a dose-dependent manner. The risk of skeletal muscle effects (e.g., myopathy and rhabdomyolysis) increases in a dose-dependent manner with advanced age (≥65 years), renal impairment, inadequately treated hypothyroidism, and in combination use with fibrates or lipid- modifying doses of niacin (≥1 g/day). LIVALO, promptly interrupt therapy. If an alternate etiology is not found do not restart LIVALO.